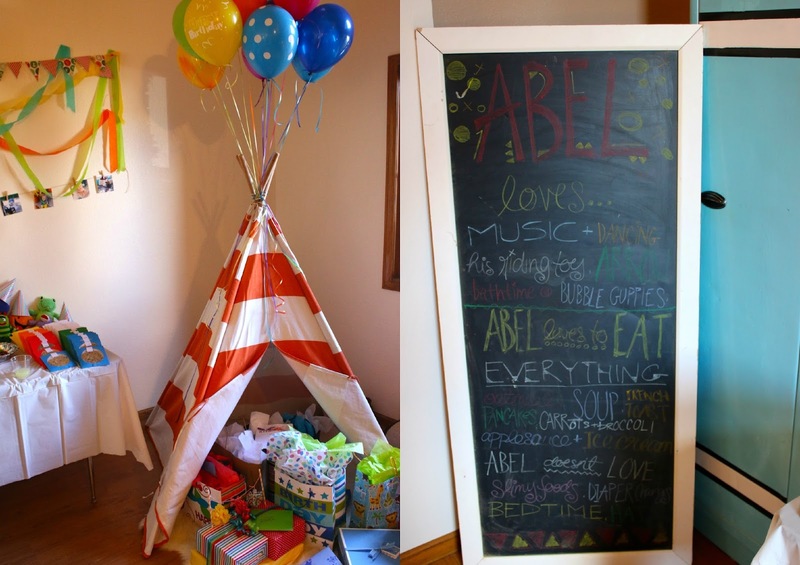 so, before abel turned two felt like a great time to post about my favorite guy + his birthday party. so here it is! we had such a great time with our family + a few close friends, and felt very blessed by those who came to celebrate him on his special day. 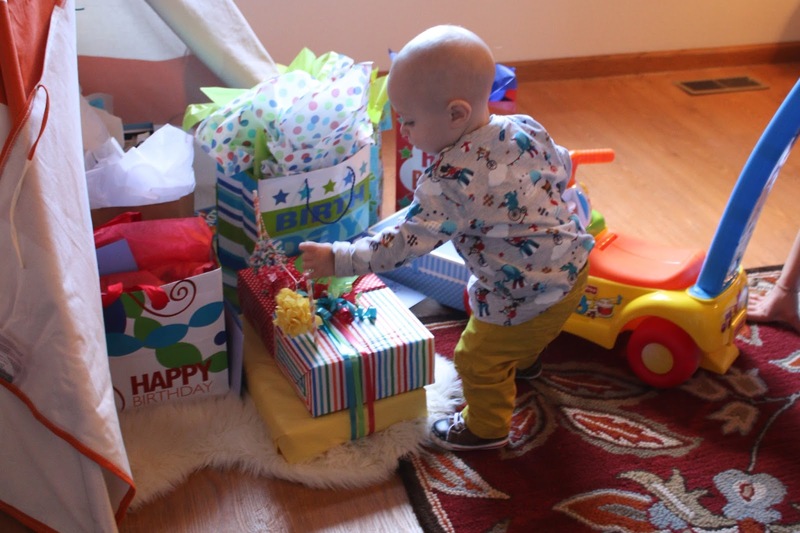 we went with bright colored + fun for the "theme"... just like him. i hung 12 photos from each month he's been with us because i love pictures + only take a couple zillion of him each day, so it just felt right to do so. we let him "smash" his cake, which he interpreted as politely + barely touch this thing.... i loved that probably the most. as fun as it would have been to see him go to town on that thing, it was SO him the way he approached it. so carefully + thought out. he doesn't love touching weird textures + this was no exception, thankfully dad was there to save the day + give him his cake wedding style... + THAT he thoroughly enjoyed. abel is loved by so many + that just fills my heart with a joy un-explainable. he's the very best thing i know.